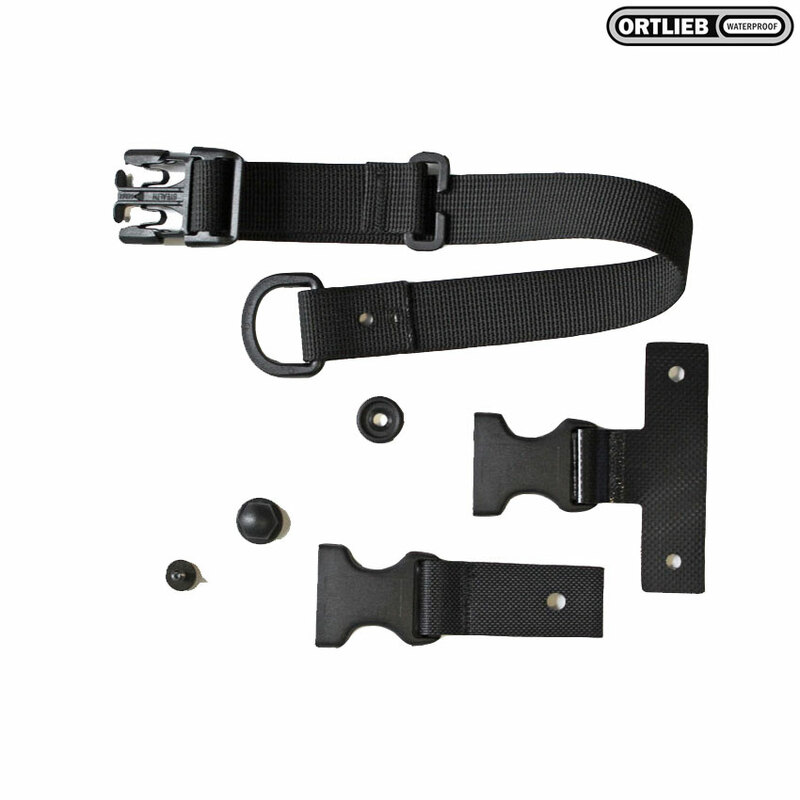 "Stealth" Closure for Back Roller and Front Roller Ortlieb panniers. A very easy-to-fit replacement strap. Solid and robust (I'm still pretty surprised the clip on my last one broke at all). What is the width of the clip? My 'male' clip for fastening my Ortlieb has just broken. The width of the 'female' is 35mm. Is this the right product? Yes this should work absolutely fine. Hi, there is no strap to convert closing the roller type from side to top. Thanks. What does this do? Is this so you can close the pannier by clipping the side clips together at the top rather than down the sides? This is the tension strap that goes over the top to help hold everything in place, the roll down part will still need to be clipped into either side.